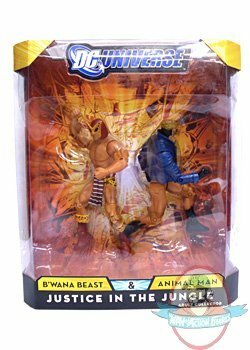 When there’s trouble in the jungle, B’Wana Beast and Animal Man are the heroes to have by your side! This pack features two classic characters that use their animal instincts to battle evil, wherever it may lie. With incredible design by the Four Horsemen and full articulation, this set will bring the grrrrr in great to your DCU collection!